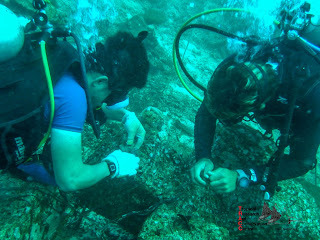 TRACC Borneo Volunteers: Exploring a whole new world through scuba diving. My first week at Tracc was spent doing my open water dive course. Instructor Katie introduced me to all the gear, explained how to set it up and what each piece does. After self-study and knowledge reviews it was time to hit the water for the confined water dives. Being in a tropical location without a pool the confined water dives are done in shallow open water. After feeling comfortable with breathing underwater and mastering all the skills necessary it was time for the open water dives. Instructor Katie teaching a rescue course. The weightlessness you feel when you have mastered the ability to glide through the water is an amazing experience. Scuba diving is probably the closest to the feeling of flight. You feel absolute freedom, freed from gravity. The experience of calmness underwater were everything moves slowly is very relaxing. 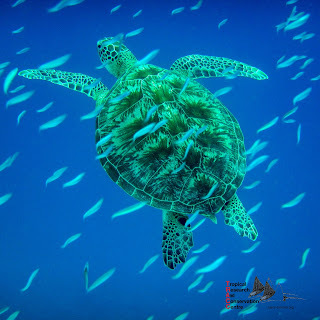 You become one with the sea and feel amazed by the truly beautiful natural environment. 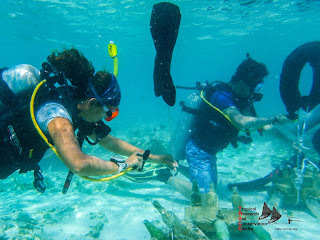 Between admiring the beauty of the underwater world and advancing my diving skills, I have accompanied Tracc volunteers on work dives documenting with the camera the work that is being done. Tracc is a great place to learn to dive or advance your diving skills as it is combined with marine conservation (work dives). The work dives are hands on conservation work to restore the reef at Pom Pom Island which has been destroyed by bomb fishing. At Tracc you dive with a purpose. Moving bottle reefs with liftbags. Planting sponges onto the tetris reef blocks. 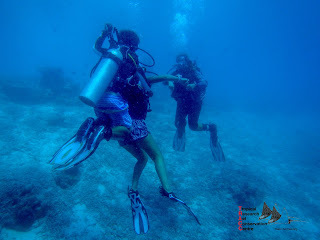 I have always loved the sea and am so happy that I've finally entered the truly magnificent world which is scuba diving. I am now a member of a very special community who feel at one with the sea. I am a scuba diver. "We dive not to escape life, but for life not to escape us”.